Keeping our immune systems strong is the best practice for keeping healthy. Let's tackle stress early and get it off the field. Growing shiitakes is fun! Eating them is fun too! Fresh shiitake mushrooms are a high-protein, low-fat Superfood, rich in iron and potassium. They are second-most consumed mushroom worldwide, for their flavor, texture, high nutritional values and their healing and health properties. In addition to their hearty flavor and meaty texture Shiitakes can stimulate and strengthen the immune system and fight flu and viral infections. 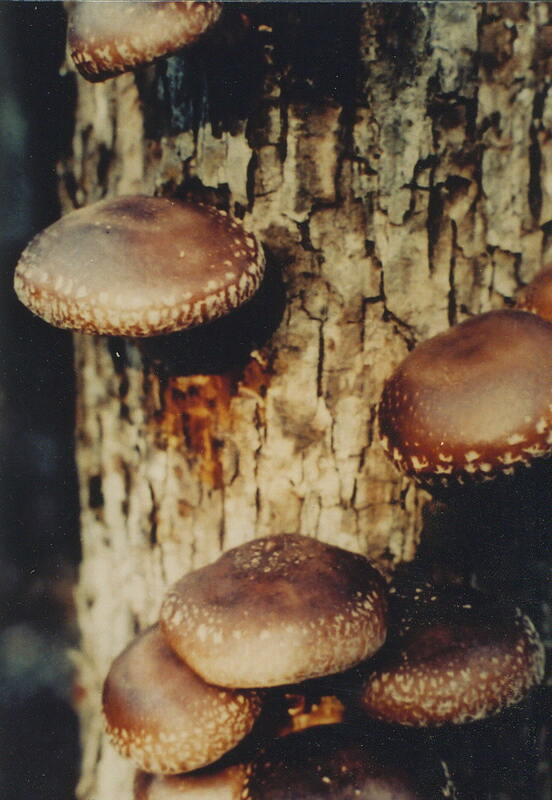 Shiitakes contain polycharrides, including beta glucans. These medicinal properties have been shown to reduce inflammation (as with arthritis), to lower cholesterol and regulate blood pressure. The highest-quality shiitakes are grown on all-natural hardwood logs such as oak, hickory and gum. 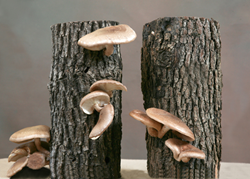 They are available from shiitake growers, at farmers’ markets, and in high-end health and natural food stores. Commercial shiitakes are grown on sterilized sawdust blocks and are available in regular grocery stores, both fresh and dried. “All shiitakes are good and good for us,” Williams said. "As with most foods grown organically in their natural habitat with sunlight and fresh, pure water, log-grown shiitakes are better." 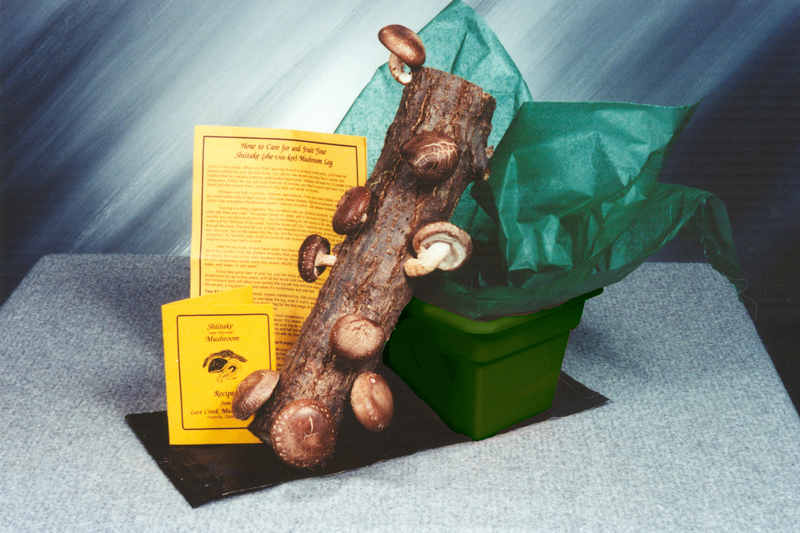 Shiitake log kits grow mushrooms every two months for about four years. Living inside like plants or outside in shade, they require soaking in non-chlorinated water every two weeks. Soaking in ice water triggers the growing cycle. All Lost Creek Mushroom Farm kits over 9 inches are fully guaranteed to grow the mushrooms. 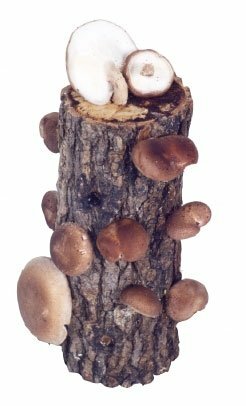 Lost Creek Mushroom Farm shiitake log kits are available in a range of sizes and prices. The Original Tray Kit with a 14-inch log and its own tray for soaking, fruiting and storing the log, is $49.95. The Best Buy includes two tray kits for $89.95 shipped to the same address. The best-selling 10-inch Single Log Kit is $29.95; the Ma and Pa Log Kit with two 10-inch logs is $49.95, and a 6-inch ‘Shroomie sells for $18. Prices include shipping and handling. ‘Shroomies are not guaranteed because of shipping costs. Janet Bratkovich’s Shiitake Sampler Cookbook with 51 kitchen-tested shiitake recipes is $7.95 when shipped with the log kit, $9.95 shipped separately. Order online at shiitakemushroomlog.com or by phone at 1-800-792-0053. Lost Creek Mushroom Log kits are available on Amazon.com at slightly higher prices. A portion of sales are donated to Lost Creek Mushroom Farm’s Mushrooms in Ghana Project. Sandra and her husband Doug work with small-scale mushroom farmers, especially women, to increase production and sales; and they teach and promote shiitake mushroom farming on logs.